Find out how to perform a PostgreSQL in place major version upgrade in four steps. PostgreSQL in place major version upgrades allow you to upgrade your PostgreSQL instances to a major version. The best part is that they typically take 60 seconds or less. This will take you to the instance overview tab. When you select the version you want to upgrade to, the system will check for version upgrade compatibility. Once the system confirms compatibility, all you have to do is click upgrade and the system will handle the rest. 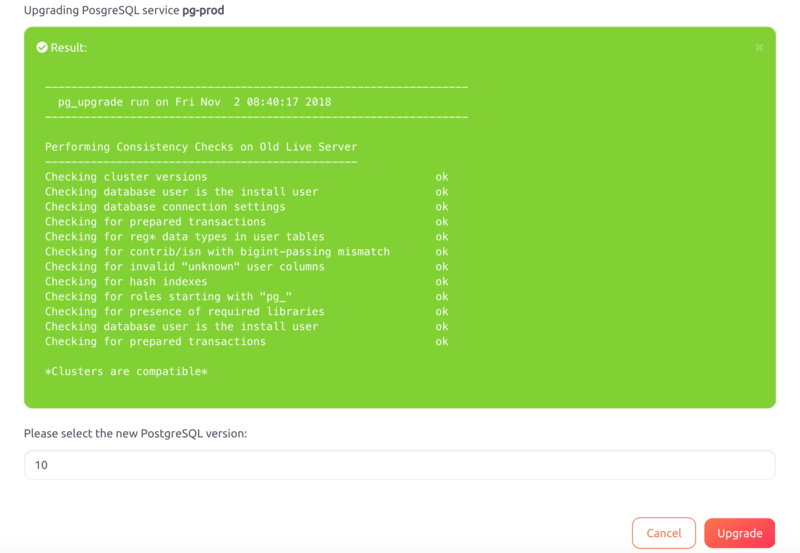 To learn more about PostgreSQL in place major version upgrades, read our blog post detailing why we built it into our platform.